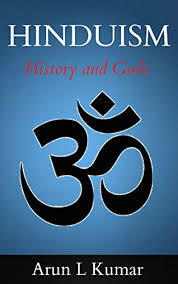 A Hinduism and God research paper will examine the Hindu teaching that all paths are acceptable to reach God. This discussion will demonstrate that Hinduism's polytheism combined with their belief in the cyclic nature of the universe form the basis of the "all paths are acceptable to God" doctrine. There are many meanings of the teaching that all paths are acceptable to reach God. Hindu teaching includes many expressions of God, which allows for many ways to reach the ideal of "God" that is common to them all. Also, it means there is no way of living that does not lead to the inevitability of death, when we metaphorically "meet God," before rejoining the cycle of life to be reincarnated in another form with another path. This teaching also implies that God is not judgmental. The path you choose is for you alone, and God does not judge if it is morally acceptable or unacceptable. Research papers on this Hindu doctrine show that it is important because it allows people the freedom to choose their own path, rather than dictating morality and prescribing a necessary path to God, as some religions suggest. Furthermore, this teaching provides hope to everyone, regardless of lifestyle, economic or social status, that they may reach God. Your term paper may show that this doctrine demonstrates that Hinduism and God can survive without harsh moral judgments. The quest for personal understanding comes from the realization of the relationship between brahman and atman. Much like the Christian’s Holy Trinity of the Father, the Son and The Holy Spirit, three beings, one God; the atman and the brahman are, in essence, the same. The correlation between the two beings is made more difficult with the idea that only through the definition of brahman can it understood. However, “ultimately brahman is indefinable because to define it would be to limit it”. Because brahman is seen as the underlying force and essence of the entire universe, it is impossible to understand and or define. This paradox is the basis on which Hindu practitioners meditate for their entire lives. Another aspect of the Hindu religion is its holding of certain texts as sacred. These texts are numerous and study nearly every aspect of the human condition. As mentioned earlier, the oldest of these texts are called the Vedas. Veda, in Hindi, literally means knowledge, and is therefore the base from which all other concepts of the religion are formed. There are four main collections of Vedas from antiquity. The first of the Vedas is the Rig Vedas. This collection holds praise and rituals for the worship of thirty-three gods. In the early days of the Hindu tradition, referred to as the Vedic times, animal sacrifice was the primary exercise of ritual worship. The second Veda is called the Sama Veda. This is more of an elaboration of the Rig Veda, as it primarily sets the hymns of the Rig Veda to music, and illustrates their context with the rituals and which songs are to be sung during the rites. The Yajur Veda is used by the priest only. This Veda was used to lead the priests in prayer as they oversaw the rituals. Finally there is the Atharva. This is a collection of Charms and incantations for the betterment of daily living. These Vedas, along with their individual supplement texts – Brahmanas, Aranyakas and Upanishads – formed the basis for the development of the Hindu faith. Each of the supplements concentrated on specific aspects of life. The Brahmanas were detailed writings on the meanings and technical performance of rituals. The Aranyakas, which were also called the Forest Treatises, were concerned with less formal rituals, and intended for the spiritually advanced – and those who sought more singular lifestyles away from society. The Upanishads focused on more of the questions of self and one’s relationship with the universe. These supplemental texts also delve into how the atman is created, influenced, and affects the universe. It is also found in the Upanishad texts that as the atman advances, and one becomes more attuned to the universe, ritual sacrifice is less necessary. The second main collection of important Hindu texts is called the smriti – or the remembering. These texts differ from the Vedas in that they were always considered to have been written by man. While inspired by the divine, they were not seen as direct gifts from the gods. Because they were written by people, over successive generations, they are more accessible to the masses, and therefore are often the texts that are passed from generation to generation by the populous. Hinduism and Reincarnation - To Hindus, the soul, or jiva, comes into the world through God's power and passes through a series of higher life forms. Leadership and the Dalai Lama research papers study the leader of Buddhism and his leadership traits. Knowledge of Comparative Religion - You will do this by sharing several examples encountered in your research that validates the concepts or practices found in Buddhism, Judaism and Christianity. Transcendentalism research papers examine a 19th century American philosophical and religious movement that emerged out of Romanticism. New Age Spirituality - Although on a personal level, Hawthorne overtly aligned himself with the burgeoning Transcendentalism movement. Paper Masters writes custom research papers on Hinduism and God andhinduism-and-god examine how Hindus view God.